The True Thinline collection from Rado marked a new milestone in the history of time measurement with the world's thinnest ceramic watch. 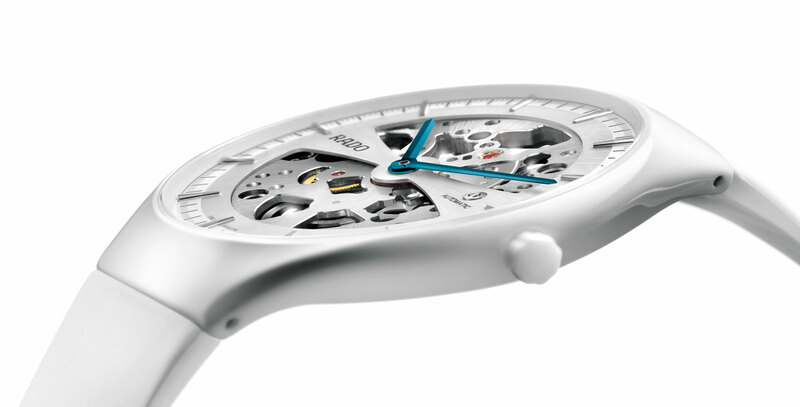 In 2012, the Rado True Thinline Automatic Skeleton reminds us that beauty is about more than just size. For while the 7.8 mm profile is as impressive as ever, it is the heart of this timepiece that makes it truly unique. 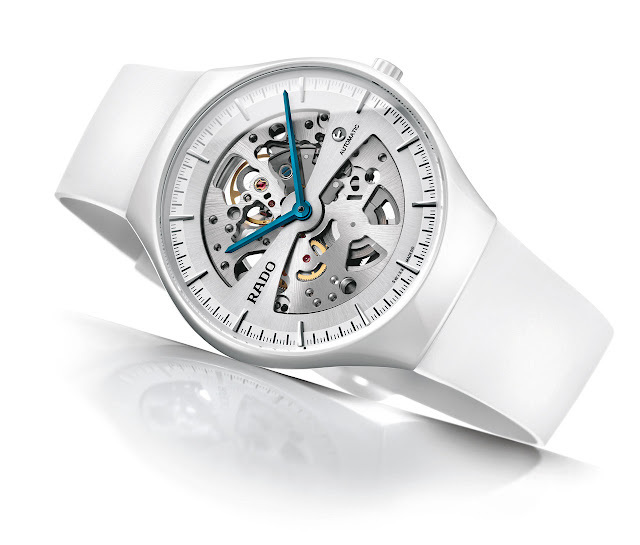 It boldy reveals its authenticity through an openwork dial that exposes the beating of the ETA 2892-S2 movement. Sensuality prevails in the ceramic of the case set against the rubber of the strap, both of which ensure qualities of solidity and comfort. Blue hands illuminate this monochrome picture and add to its striking personality.